Step 1 In a medium saucepan, bring 3 cups chicken broth to a boil. Add the chicken breast, cover the pan and simmer gently until the chicken is cooked through, about 10 to 15 minutes. Remove the breast from the broth to cool. When cool enough to handle, shred the chicken into strips. Step 2 Bring the broth back to a simmer, and stir in the rice. Cover the pan and simmer, gently, until the rice is cooked through, about 20 minutes. Remove from heat and set aside. The rice may not have absorbed all of the liquid; this is fine, as the rice (and any remaining liquid) will be combined with the final soup. Step 3In a large saucepan, bring the remaining chicken broth to a boil over high heat. While the broth is heating, whisk together the cornstarch and water in a small bowl until fully combined to form a slurry. Step 4Off heat, whisk the slurry into the hot broth to thicken, and reduce the heat to a gentle simmer. Step 5Temper the egg yolks with the hot broth (whisk a little hot broth in with the egg yolks in a small bowl -- this will prevent the eggs from scrambling -- then whisk the warmed egg yolks into the hot broth). Whisk in the lemon juice, then taste the broth and season as desired with salt (seasoning will vary depending on the brand of chicken broth used). Step 6Stir in the shredded chicken and rice, then serve. This makes about 2 quarts soup. In Recipes-list.com we have selected the most viewed recipes from category - Appetizers Main courses Quick and easy Soups . Enjoy the best recipes specially selected for you! 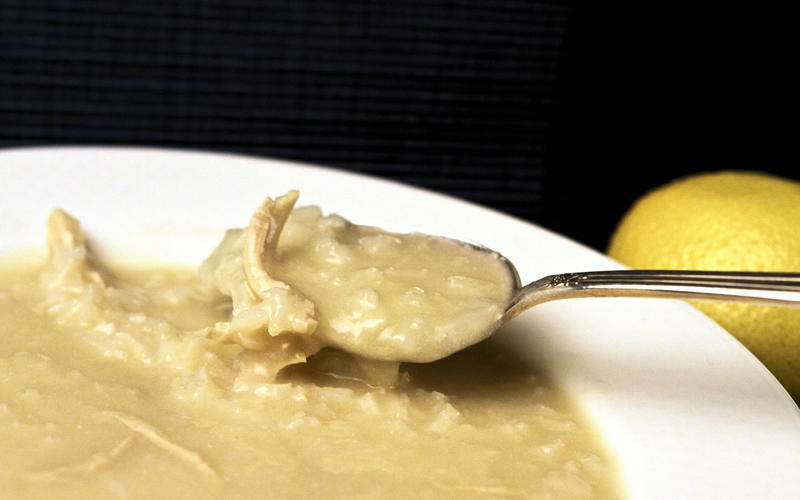 Avgolemono soup is the right choice that will satisfy all your claims.